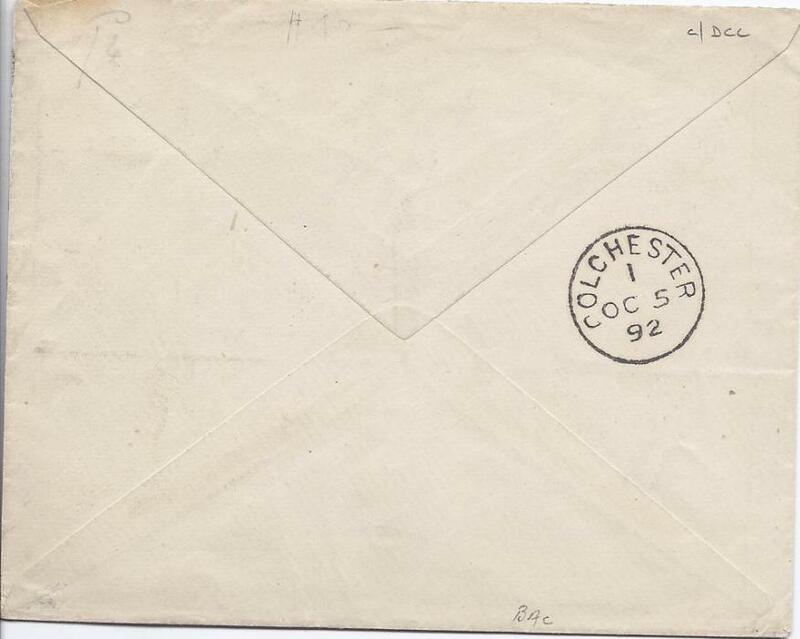 1892 'Winch Bros' cover franked 2 1/2d. tied with part duplex with another strike below together with 1d. 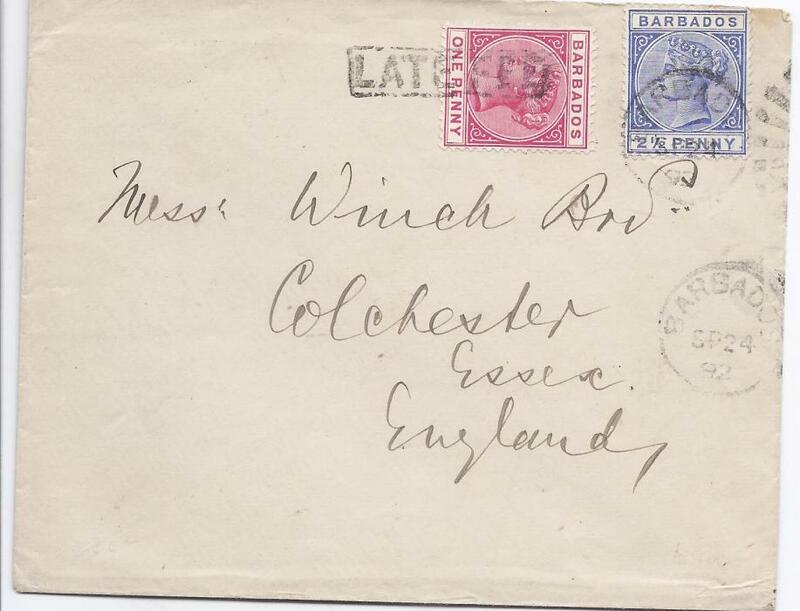 paying the late fee with framed handstamp, Colchester arrival backstamp; fine and scarce. 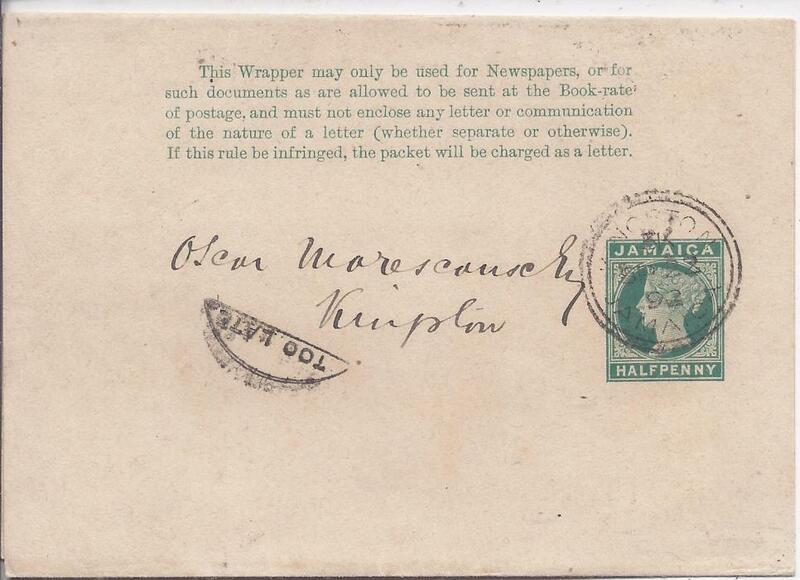 1896 local wrapper bearing fine Paid At Barbados crown circle with cds alongside and, at centre, framed Too Late handstamp; fine and fresh condition. 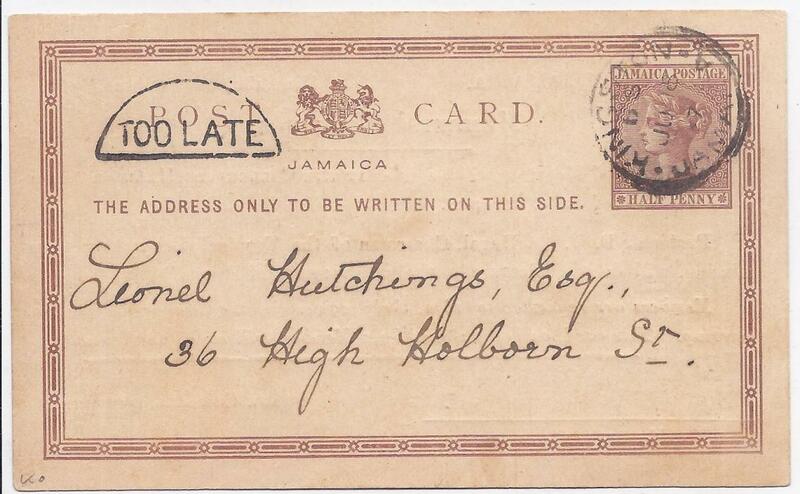 1897 printed �d stationery card of Institute of Jamaica used within Kingston showing fine half circle TOO LATE handstamp at left; fine condition. 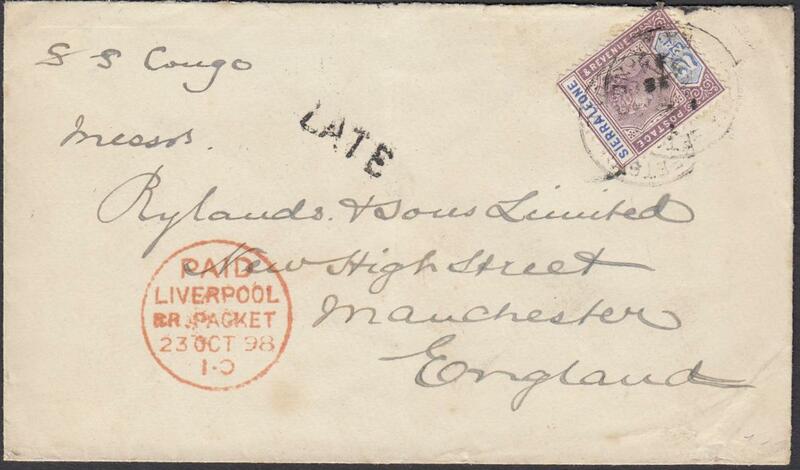 1898 cover to Manchester endorse "S.S Congo" franked 2�d tied 'FREETOWN' cds, small straight-line 'LATE' handstamp, at left red 'PAID/LIVERPOOL/BR PACKET' cds; arrival backstamp.